Daniel Jarzemsky, MD, received a UW Health Clinical Practice Physician Excellence Award in June 2017. Daniel Jarzemsky, MD, a clinical associate professor in the UW Department of Family Medicine and Community Health (DFMCH) who practices at the UW Health Cross Plains Clinic, recently received a UW Health Clinical Practice Physician Excellence Award. The award honors outstanding clinicians who demonstrate an extraordinary commitment to safety and quality patient- and family-centered care. Dr. Jarzemsky received the award at the UW Health Physician Excellence Awards ceremony, held June 19, 2017, at the Health Sciences Learning Center. Jarzemsky’s dedication to his patients, the community which he serves, his colleagues, and the medical students he teaches is unparalleled. 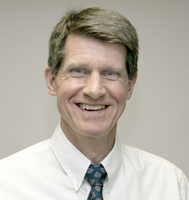 He enjoys practicing medicine the old-fashioned way through continuity of care and direct patient contact. He still makes house calls to those patients who cannot easily get to his clinic. “The community has shown their appreciation for the care they’ve received by voting the UW Cross Plains clinic as a Star Clinic for nine consecutive years,” said UW Health Chief Academic Integration Officer Nizar Jarjour, MD, who presented Dr. Jarzemsky with the award. When he’s not seeing patients, Jarzemsky has sought to improve the health of Cross Plains through research projects. He secured a $50,000 grant for a lifestyle initiative from 2015 to 2017. As part of that program, he helped lead a 10-session support group over 20 weeks to improve nutrition and increase physical activity in the community. Dr. Daniel Jarzemsky is an excellent clinician, teacher and researcher. He is dedicated to improving the health of not only individuals, but the community as a whole. 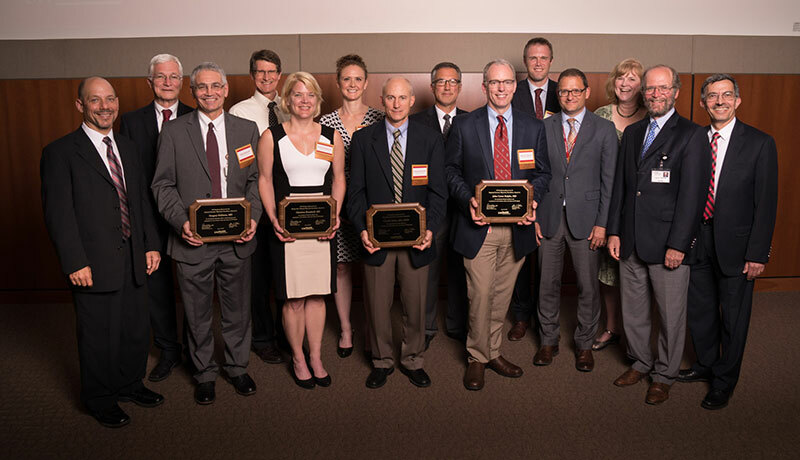 Dr. Jarzemsky was one of three UW Health physicians to receive Clinical Practice Physician Excellence Awards, and one of nine physicians overall receiving awards at the ceremony. Also nominated for Physician Excellence awards were DFMCH faculty Kirsten Rindfleisch, MD, Jenifer Somers, MD, and Jonathan Temte, MD, PhD.